(This post contains affiliate links) There is NOTHING worse than hearing the words; “I’m Bored!” as a parent. Which is why we all need some boredom busters in our back pocket, right? Hearing the dreaded – I’m bored – makes us feel that we aren’t doing as much as we should to keep our kids entertained, while also knowing that we are going to have to listen to whining for the next hour. Usually, while said child tries to work out what to do…. This is around £300 of Boredom Busters goodies that you can win to entertain YOUR kids! We hope you agree that this should keep your kids from getting too bored, as well as encouraging them to get outside a little more too. We reserve the right to change prizes depending on stock levels, but this would be of similar value of course, and still relevant to your kids. The giveaway for this bundle will close on Thursday 9th May at 11.59pm. Hopefully with these boredom busters, you might just get 15 minutes to yourself for a sit down?!!? We have included a little more details below on all of these amazing gifts, so that you know what you are getting yourself in to. There is enough here to keep the kids entertained through birthdays, holidays and even to Christmas! Here we go – some ideas for you to keep the kids entertained after school and over the holidays. You can also win everything too of course! The Razor S Sport is a perfect first two-wheeled scooter for kids age 6+. This colourful ride has achieved hundreds of five star reviews recognising its great quality and smooth ride. The product is available from Argos and Amazon. It is all too easy to get distracted by screens, so why not give your kids some fun accessories for their bikes, and get them creating and imagining in the garden while you sit and enjoy a little you time? We have these gorgeous star themed helmet, backpack, bell and gloves in our gift guide from Kiddimoto. Backpack:Bags have adjustable straps, two mesh pockets and four zipped compartments, as well as reflective piping on the front. Bell:This is a large bell, and great for balance biks, scooters, or pedla bikes. Made from steel, they fit using a screw and can be removed easily as well. Helmet: These helmets have a classic BMX shell, and ABS hard plastic with adjustable inner frame that’ll grow with your kids. Gloves:Padded gloves so that your kids won’t be coming home with grazed palms anymore! Fingerless, with breathable elastane too, and handy touch fastener straps, these are designed to give your kids a great handlebar grip even if they have little hands. Prize sizes are large for the bell, and medium for the gloves and the helmet. Catch the Mouse: Grab as many points as you can and win! This is a really simple game, for fast and furious fun. Peek-A-Boo: The kids are almost ALWAYS better at memory games than we are, right? So here is a new one to play with the kids. Can you remember who is hiding under the coloured cards on the Peek-A-Boo board? Colour Chameleon: A fast paced game where you have to collect all the matching colour spots on the chameleons. Suitable for age 3+ and more than two players. It is lovely to support independent shops, and this gorgeous set of paper masks is from My Cute Monsters; a lovely little shop on Etsy. These are designed by the shop owner, Pia Kolle, and the product includes NINE monster masks either for birthdays, or just for dressing up fun. Printing is done on high quality paper (300gsm), cut with a rubber chord. Five zoo-themed reusable stencils to get your kids creating easily. We have a few sets of slime to keep them entertained too (sorry! ), helping to make for some rather fun, but slightly messy baths. Gelli Baff is a great bath time product that lets you turn your bath into a goey bit of fun; then with another application of a separate powder, back into coloured water to drain it away. Easy clean up. And no slime/goey stuff on the carpet! Slime Baff turns your bath into a gooey, oozy bath of slime. So pretty similar to Gelli Baff but slime instead! Definitely a great little gift to keep those hands busy. These are gorgeous 3D puzzles from Brainstorm, available in a number of different animals (random for the giveaway). They are perfect collectibles, simplified animals, that can keep your kids busy, and yearning to be able to get the next one too! They are made from environmentally friendly, biodegradable card with natural eco-friendly ink and non-toxic glue as well. Ideal for any little conservationists too. The models are designed to take 10-20 minutes to glue together, and are excellent for the kids to collect and display in their rooms. A boredom busters gift guide wouldn’t be complete without a construction toy now, would it? However, we have opted for something a little bit different; this is a ball track from Hubelino. A marble run with a difference. This is a good toy for slightly older children to get creative and problem solve. They will love working out how to best get their ball through the track. It is compatible with Duplo, but there is more than enough within this set to keep the kids entertained (45 pieces in the set). Hexbug are well known for their crazy little robotic insects – but have you heard of their range of Lil’ Nature Babies? This are a lovely range of toys for 3 to 6 year olds, designed to raise awareness of endangered animals globally. Sura the polar bear will make noises in response to your child’s and your touch. What is not to like about this range of toys from Hexbug? The game is designed to take about 20 minutes and is suitable for 2-4 players. This is another great family fun game from Ravensburger. The best thing about this game for boredom busting is that is CAN be played alone. It is for 1-6 players, with a solo player balancing as many penguins as they can before it all topples over. Instructions; though it is pretty self explanatory! This game takes about 15 minutes to play and is suitable for age 5 and up. As always this is a simple as it can be for everyone. Fill out the gleam widget below, doing all the tasks you can and you are there. There is ONLY ONE WINNER of the full boredom busters gift guide haul; so make sure you have a chance and do as many entries as you possibly can. Win a Boredom Busters gift guide bundle with c. £300 of activity based toys! We trust you love this as much as we do. The CLOSING DATE for this is Thursday 9th May at 11.59pm. And all the usual T&Cs for the site apply. We will be sending these goodies one at a time, so be prepared for the postman to get a backache if you do win! Thanks as always for stopping by and we hope to see you again soon – why not check out our FREE printables while you are here? My son would love the slime jelly bath and so would I as all the mess would be confined to the bath tub! i think the Blo pens are brilliant my daughter hasn’t tried them yet, but i remember as a little girl i used to absolutely love them! The blo bens would have to be my favourite! 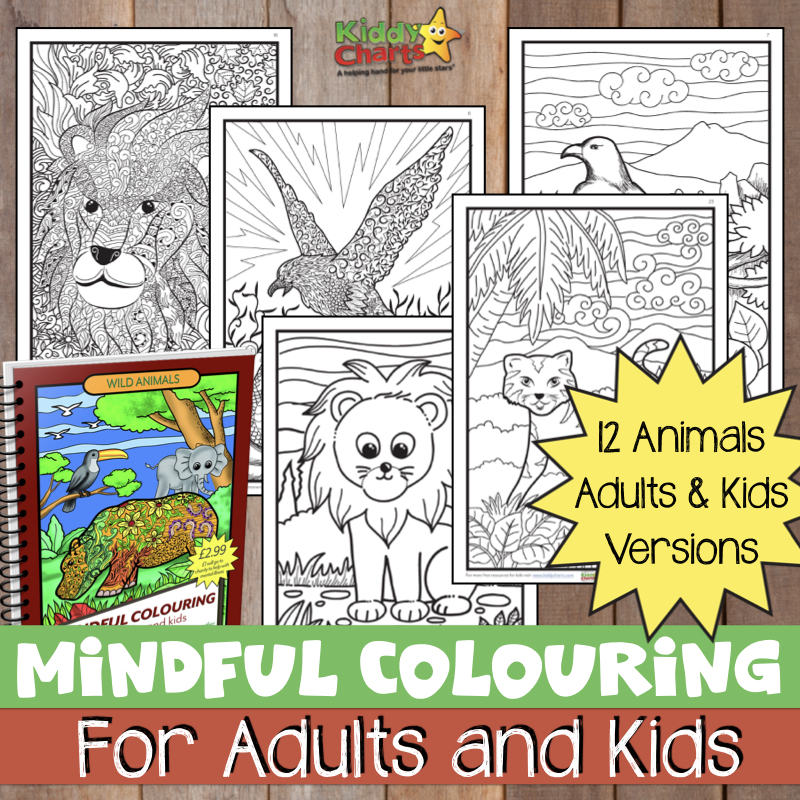 I had them when i was young and all 3 of my children love drawing and colouring so these would be a huge hit! Pack of 4 eco friendly games, we love a games night, so would be good to have a few new ones. My children would say the slime, obviously!! The scooter, I can ride it too right?! Fingers crossed, my little ones would love this!! The scooter for my eldest would keep her active and away from the TV. The pile on penguins for my youngest as she adores penguins at the moment and would get us doing something as a family. The funny bunny game, great for the family to play over the Easter break. Has to be the scooter – exercise is so much fun. The Razor S Sport Scooters are great and are ideal for us as we like to get out and about. I love the Hubelino Construction toy as it its so great that it is Duplo compatible. My kids love their Duplo so they would have hours of fun with this. the slime would be a winner here – the kids love it!! My daughter would love so many of them toys, it’s hard to pin point the best. The scooter would definitely be a favourite!! Bath Slime. It is impossible to get my son out the bath (once he is in!) it would be near enough impossible but lots of fun if he get his hands on this! The scooter because it gets the kids outside and off the screens. Hexbug Lil’ Nature Babies Icy Cavern looks really good, Violet loves things like this. I think my son would love the Gelli Baff. It sounds like fun. The jumbo games bundle would give my boys hours of fun! The Jumbo eco-friendly games! We love games like that but it’s so nice to see some that aren’t plastic, for a change! The 4 eco friendly games, because I can join in with the fun too! My four would adore the slime to play together! I think the penguin pile up game would be my favourite! I love the Slime. My grandchildren would really enjoy this. The Blo Pens look fab! We love doing arts and crafts in our house and making pictures. I think penguin pile up would be great fun and enjoyed by all. Funny Bunny game would be great on a rainy day like today! Looks fun and the right length of time to keep their attention. Eugy 3-D puzzle, these look so cleverly designed. The Brainstorm EUGY 3D puzzle. My niece loves puzzles and this is something a little different and it would keep her occupied and focused for hours. I like the sound of the ball track. My little boy likes seeing how things work so this would be fascinating for him. Razor S Sport Scooter would be fabulous……Shropshire is full of hills!!! The Brainstorm alligator is quick to make, delightfully unattractive and lots of fun. I think the Hubelino construction toy is the best, as I think my little boy would have hours of fun with it! Fuzzikins bedtime bunnies as I think my Granddaughter would love them. She enjoys making/colouring things & she also like collecting small hand size animals so these combine the two. The scooter is my favourite because it would help me to keep my grandchildren active as well! the Fuzzikins bunnies. My little girl loves making things and animals so this would be a win win. I think my daughter would really love Fuzzikins, they look cute and she loves role playing and putting toys to bed. The funny bunny game looks great fun for the whole family to play. Its nice to get us together for some fun games, for bonding, laughing and learning! Zimpli kids gelli bath and slime kits are great – makes bathtime more fun, rather than boring for the children. The Razor S Sport Scooter. My grandson would be happy with anything on the list though. The scooter because you can get out and about on it. The jumbo games selection would keep my little nephew busy ! Funny Bunny looks like it could be a fun game! Games are a great way to encourage interaction and family fun! The scooter would be our top pick from this bundle. My son needs a new one. I like the look of the funny bunny game. My son loves rabbits and it would be perfect with Easter coming up. Kiddimoto stars bundle would be amazing as My toddler twins currently using their sister’s old one and always fights at home lol. Definitely the scooter my eldest has asked for one for his birthday so this would be perfect. My favourite is the Razor S Sports scooter because it gets children out in the fresh air having exercise and fun. The blopens squeezy look like lots of fun for my twin girls. The penguin pile up game will keep the kids going for hours. Blo pens are my favourite. I had some blow pens when I was a child. They’re fantastic. A nice change from colouring with pens. I think my boys would get the most fun out of the Penguin Pile Up game. The penguin pile up game . My sons have been asking for this for ages ! Razor S Sports scooter because it’s great to get outside for some fun and fresh air as a family. The Kiddimoto stars bundle would be my favourite as I know my grandchildren would love them. The slime bath is a real winner and the a reading of Fungus the Bogeyman before bed! The penguin pile up game! We love board games in our family! I love the 3D puzzle because I love the one shown of the Alligator. I love the blo pens as I think my 3 year old and 7 year old would both enjoy using them. The Penguin Pile-Up game looks like a lot of fun. Penguin Pile-Up would be our favourite, our little Grandson adores all things Penguin! The wooden jumbo games selection! We love educational toys and puzzle and wooden toys are the best and can last forever! Fuzzikins bedtime bunnies – because it is creative and gets the mind and artiness flowing!